Ladies we all know that growing older is all part of life’s little cycle. With age comes knowledge, wisdom, beauty? For some of us, the third could be questioned, the wrinkles and thinned hair isn’t for everyone. When we are young most of us dream to have long beautiful thick locks; some of us even forced the crusts off our sandwiches down us in the hope that one morning we would wake to masses of bouncy curls. Unfortunately for some of us, that was just a dream. Everybody in this world is different! Look to the person next to you; different weight, different height, different skin colour, different eye colour and of course different hairstyle and a different haircut. There aren’t two people in this world who are the same. There are no two haircuts that are the same. There are no two hair lengths that are the same. What’s the point I’m getting at? At some point in our lives, we will probably lose our hair. Whether it’s a fair few strands, a clump or two, or a far few more; we’re not alone we are all different. If you’re stressing about ageing and the effects on your hair. Don’t. 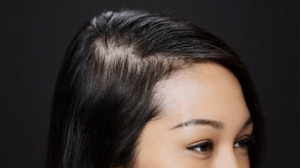 Hair loss is a problem that affects over 8 million people in the UK alone. In fact, around 80% of females at this exact minute in time will for some reason be stressing over their hair! Embrace it! For some of us, this easier said than done. Let’s face it, we all love the idea of us having beautiful hair and then lose it, well it’s like we’ve lost a part of ourselves. So, what’s the other option you ask? A miracle? Well, I wouldn’t go that far but we definitely have something along those lines! Introducing you to our world, the world of Toppik. A hair saviour! So, we all need a shampoo and conditioner in our lives but we at hair loss Ireland offer just a little more than a healthy glow. Our products are specialised in thickening our hair. So, at the onset of hair loss, it’s a perfect choice! Not only does it thicken the hair, it gives it a new lease of life! For some of us though a bit of shampoo and conditioner isn’t going to be our miracle answer; so, what about natural fibres? Natural fibres– think of them like contact lenses, only you will know they are there; easy to apply, help strengthen your weakness and not a soul can tell your using them! Natural hair fibres cleverly bind together to help strengthen and thicken your hair. With just a small amount of shampoo, conditioner, hair thickening spray and natural fibres; you have the regime of a hair goddess. This particular regime is not just a lifestyle choice but a lifestyle changer. It is able to boost both the hair and confidence. It can revitalise you and revitalize your age. Life isn’t perfect, but your hair can be!